Currently, there are 5 species of rhinoceroses in the world; two species live in Africa (white and black rhino) and three in Asia (Indian, Sumatran and Javan rhino). All rhinoceroses belong among endangered species – hunting for their horns being the main reason. Rhino horn is a special formation on rhino’s nose consisting of compiled callous fibres resembling hairs and made of keratin (same as human nails and hair). No other animal has such a thing on its body which is why it has always been attributed special effects by humans. The first written record about healing effects of rhino horn have been found in the so-called First herbarium of traditional Chinese medicine from 200 BC. It states the horn as a so-called imperial item of mixture against hot diseases. However, it was such a rare material that only imperial families used it, whereas normal people used the mixture only with herbs or with buffalo horns. The horn should serve for “cooling”, i.e. decreasing fever, detoxication of organism and against bleeding (it was never used as an aphrodisiac in Asia, which is just a rumour spread in Europe – and it would not even make sense as the horn is supposed to “cool”, not “heat”). Modern studies have not proven healing effects of rhino horn, but only a mild effect (approximately like a half of an Aspirin) was recorded just for decreasing fever. In Medieval times, rhino horns were used for manufacturing decorative goblets which were supposed to detect a poison in a drink and which were owned by most of royal and noble courts. Another use are handles of traditional daggers called “jambia” in Yemen which are inlaid with rhino horn. It is a symbol of wealth and invincibility of its owner – fathers give jambias to their sons as a symbol of their maturity. Price of jambia with a rhino horn is around 7,000 EUR. Horn is used also for religious purposes – in China, Vietnam, India and Turkey it is used for rosaries and religious bracelets. Today, 3 rhinos are killed every day, and it has been talked about a “rhino war”. The most critical situation is in the Kruger National Park where 60% of poaching incidents take place, and which is thus called an “Eye of a Storm”. South African Kruger is connected with the Limpopo Park in Mozambique which has created a vast connected area without borders – from the biological point of view it is great, but from the point of view of chances for guarding it is a total disaster. There is a permeable border between South Africa and Mozambique which cannot be guarded in the field. Poachers from Mozambique attack South African parts and quickly return to their territory, but South African rangers are not allowed to chase them to the foreign country… Kruger’s area is 20,000 km2 which is the size of Israel, and there are only 400 rangers to guard it (1 on 50 km²). In the park, 5-15 poaching groups operate every day, 80% of them in the southern part which is popular with tourists. The Kruger NP is a flagship of tourism in South Africa with high number of visitors, and so a collision of poachers with tourists is most likely just a question of time. The poaching model has been gradually changing – in 2013 most poachers came from Mozambique and they were active mainly at night. Now, attacks take place early in the morning or in the late afternoon and close to roads, so the poachers don’t need to go far. Most poachers are now from South Africa from villages around the Kruger park. Profits of rhino poachers are steeply increasing. Some speak about a whole poaching economy feeding whole adjacent villages. In 2015, around 2,500 poaching incidents (approx. 7,500 poachers) were recorded in the park which is a half more than in 2014. Typical poachers operate in groups of 3-4 people with bags. They don’t look like vagabonds or a semi-army unit in army clothes. They wear clothes like tourists – jeans, T-shirts and sneakers – so they look normal… Sometimes they even enter the park through the gate, just like tourists. There is a hierarchy in the group. The highest position is represented by a shooter who has a hunting gun with silencer of the caliber 375, 458. Another poacher is a scout/shooter with an automatic gun AK47 serving not for rhino hunting – it has a smaller calibre and is noisy – but against rangers in case of a collision. A lower position is a carrier of axes and machetes, while the lowest position is a carrier of water and coke. Gangs lease weapons to each other, they use even stolen guns (often from police warehouses). Unfortunately, a Czech company Zbrojovka Brno has been often mentioned in this matter in the past years as the most frequently used weapon of poachers is CZ-550. These are new weapons imported from the Czech Republic that, in some mysterious way, get to poachers. The situation with rhino horns becoming more and more valuable very soon attracted attention of various mafia groups. Already back in 2010, series of burglaries to museums and castles appeared in Europe, aim of which was to steal horns from stuffed rhinos. The operations were organized by the Irish criminal syndicate Rathkeale Rovers which was selling stolen horns to Asia. Burglars chose suitable places on websites, then they went for a “monitoring” visit, sometimes they even showed interest in a possible purchase of horns with a made-up story that a Scottish lord is looking for an equipment for renovation of his castle… Thefts were taking place both at night and in the daytime, there were even such absurd situations that burglars broke a piece of wall or jumped into a window with a 100kg rhino head in their hands etc. In total, 67 thefts and 15 attempts have been recorded in Europe. Criminal groups were moving through Europe like locusts – they visited 16 countries and stole 94 rhino horns of a total value of around 0.5 billion CZK. In the Czech Republic, there were 7 thefts and also the biggest theft in Europe – 7 horns of black market value of 1,100,000 EUR were stolen from the Úsov castle. Investigation of the rhino mafia was difficult but some of the groups were arrested – 19 members of Rathkeale Rovers were arrested in Britain in 2013 and sentenced to the total of 71 years of imprisonment (value of the horns stolen by this group was 70 million EUR). In the Czech Republic, thieves of horns in the Napajedla and Buchlov castles were revealed and arrested as well and were sentenced to 5 years in prison. How does the trade work? It could seem that poaching is a distant issue, involving only Africa. Really? And how many rhinos do we have in European zoos? They do not need to be tracked, searched for, they have nowhere to run, they are not guarded by rangers. Why would not just come for them? Already back in 2013, Europol warned that zoological gardens might be attacked. Inspectors of the Czech Environmental Inspectorate warned the management of the Dvůr Králové Zoo as this zoo takes care of the highest number of rhinos in Europe. Do you think it is a fiction and that such things cannot happen in Europe? Most people thought so. That was a mistake. If rangers find such an injured animal, the only thing they can do is to euthanize it. Sepsis in the wound and the severity of the injury is usually such that the animal cannot be saved. The supply chain is being compared to the structure of corporations. The lowest level are easily replaceable poachers who do the dirty job. The highest one is the vast black market with potential buyers whose hands are “clean” (or at least they feel so). Between these counter poles is an organized network of traffickers, carriers, couriers, organizers and people financing the trade. It is necessary to monitor the whole supply chain in order to know how it works and who the main players are. For example, it is interesting that the number of airlines and business routes between South Africa and Vietnam have increased radically since 2009 (currently there are 10 airlines and 4 direct flights a day) – the link to rhino trade is very likely. Vietnamese traffickers establish companies right in Africa where they focus on trade in horns and ivory. Trophy hunting – rescue, or trouble? Xaysavang syndicate was transporting prostitutes from Thailand to South Africa on whose name it was requested for licenses. The women killed a rhino (or somebody did it for them), they received a CITES permit for a trophy export and horns were exported to Asia to be sold on the black market. There were quite high punishments in the Xaysavang case – a Thai middleman was sentenced to 30 years but the main organizer Vixay Keosavang, nicknamed “Pablo Escobar wildlife crime” or “Mr. Big”, left unpunished (more in the book by Julian Rademayer titled Killing for Profit, 2012). After the Thai prostitutes, the situation changed, and a European route appeared – Czechs began being used. Why us? Why a small country in the centre of Europe and rhinos? The answer is easy – numerous Vietnamese community. Where to get real horns? On 6 March 2017, unknown offenders broke into a rhino enclosure in the Thoiry Zoo located 50 km from Paris, killed a 5-year-old male rhino with three shots, and cut off its horn with a saw. Why France? The link might be obvious – the most numerous Vietnamese community in Europe is in France… The second most numerous one is in the Czech Republic. The government of South Africa insists that the rhino population is stable, and that hunting brings significant profits. In South Africa, 25% of rhinos are owned by private owners who the government does not want to restrict in their business. It is undeniable that in 1970s-80s private farms had great merits for the increase in rhino population and their rescue. The situation has, however, changed. So, what is the actual benefit of farms? After a rumour about the cancer healing effects of horn appeared, there was a sharp increase in number of requests for rhino trophy hunting from Vietnamese people. Government of South Africa tried to deal with that situation and in 2012 banned granting hunting licenses to Vietnamese. However, syndicates started using various people as “puppets”..
What is the situation in Vietnam? The government denies the problems and presents rather its awareness-raising programs aiming at reduction of demand. On the other hand, there are many people in Vietnam trying to do something with this dismal situation. There are very active non-governmental organizations such as Education for Nature Vietnam (www.envietnam.org), which is focused on raising awareness and illegal trade monitoring and cooperates with police. The Save Vietnam´s Wildlife organization focuses on awareness raising and taking care of confiscated animals (www.savevietnamswildlife.org). Vietnam is the main consumer country, trade in rhino horns there is extensive and virtually uncontrollable. Even people from political sphere, policemen and customs officers are involved in the trade, thus it is very hard to effectively intervene in such a situation. A research of a non-governmental organization Wildlife Justice Commission (www.wildlifejustice.org) has revealed the main centre of traffickers in the city of Nhi Khe close to Hanoi. Over 50 traffickers operate there, and a trade for 53.1 million USD was documented there – ivory from around 900 elephants, teeth, bones and skins of 225 tigers, and horns of 580 rhinos. Traffickers pay bribe money to the local police and have contacts even among customs officers, as a significant part of clients is from China and the goods must be safely transported across the borders. Business is arranged also via Facebook and WeChat. A controversial method was horn poisoning. It was used by private farmers who injected poison into the horns. It did not work – the substance (a pesticide, effects of which were not lethal) stayed only in close proximity to the drilled holes and did not permeate through the whole horn, and poachers and traffickers did not care the horn is poisoned because a final consumer in Asia did not know it. It is possible to transfer animals from risk areas to safer ones. However, the most poaching occurs in the Kruger National Park which is the major tourist hot spot of South Africa. The government will not allow any transport of all the rhinos from the park as it would lose its attractiveness for tourists. In general, the nature conservation is becoming militarized – poachers cannot be defeated by talking to them and calling “give up!” when they are shooting at you. Numbers of rangers are increasing, there are investments in their equipment, somewhere even the army operates, special task forces are built, and detection dogs are trained to reveal contraband in harbours, at airports and on roads. It is important to monitor animals and strengthen guards. However, it is quite difficult to decide how to actually monitor rhinos. Classic tracking is not enough anymore because attacks of poachers are fast. A radio-collar is not applicable as it does not fit on a rhino’s neck. Mini-transmitters are placed right inside the horns to monitor the animal’s position via GPS signal. Even micro-cameras are used which in case of an attack film poachers and send the video data to a monitoring centre. Monitoring is conducted also with help of drones which are, however, often shot down by poachers, so monitoring airships flying very high are used. Specially developed smartphone applications (Samsung company) serve rangers for sampling in the field, etc. Brand new methods and technologies are now used in the conservation of endangered species. Local people might be of great help for exposing poachers, unless they cover them. It is necessary to refute the myth of heroes a la Robin Hood which is how poachers are perceived by many people. Nevertheless, locals must somehow benefit from the conservation in the first place – job opportunities, part of profit from admission fees or safari trips etc., village development, children education etc. Working with local communities is a long-term activity which does not bring instant results, yet it is one of the most durable strategies. What is very needed are strict controls, harder penalties and investigations of the whole supply chains. 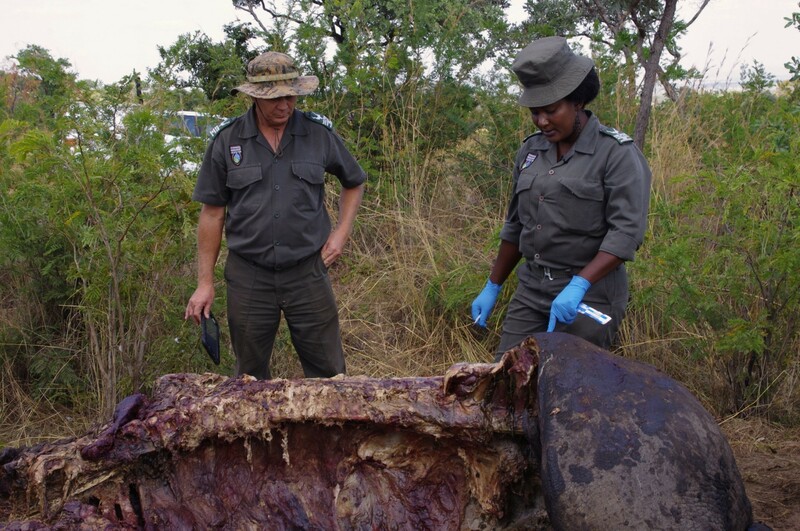 It definitely is not an easy work – just when you imagine an investigation of a site with a killed rhino. Many people, including some biologists and conservationists, were asking if it would not have been better to sell the horns. No, it would not. Arguments that the horns should be sold and the money should be used for rhino breeding or conservation are very short-sighted and prove that those people know the issue only very little. An easy parable can be used – if 60 kg of heroin was seized, would anybody think about selling it? The high amount of money from its sale could also be used for instance for an anti-drug campaign… Everyone probably realizes that this would be a mistake and that the seized drugs should be destroyed. But why don’t we think the same way in the case of rhino horns? Drugs are hurting people and destroying human lives, but the trade in rhino horns is putting at risk the very survival and existence of rhinos. It is similar. A sale of horn stocks would be absolutely against the purpose of endangered species conservation and it would be motivated only by money. It is interesting that in the Czech Republic the event was presented mostly in a way that horns for 70 million CZK were burnt, while media abroad focused more on the principle of the problem, i.e. rhinos being endangered due to the rhino horn trade, and the value of the burnt horns were rather a marginal matter to them. Doesn’t it tell anything about our society? That we still tend to recalculate everything to money? 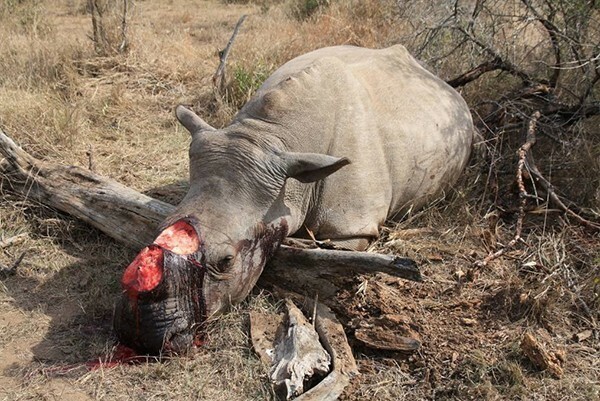 It is also necessary to emphasize that selling rhino horns would be a crime – trade in rhino horns is prohibited and the mentioned value is just a theoretical price which could be gained on the black market. It would make no sense if state authorities or zoological gardens were selling horns on the black market. And would we differ from traffickers if we ourselves would sell horns and thus support the trade in them? There is no possibility of selling horns legally. Regarding the amount of horns, the event of horn burning in the Dvůr Králové Zoo was rather symbolic, but undoubtedly it was a completely right approach to what to do with the zoo’s rhino stocks and the horns seized by the state. The rhino issue currently divides the general public into two groups. The first one in the lead with South Africa and the pro-hunting lobby claims that the solution is to support rhino hunting and legalization of horn trade. This is a so-called pro-trade model, according to which the lack of goods caused by the ban on trade just causes an increase of the price and poaching. Therefore, the solution is not to fight against poaching but to remove the lack of goods by “harvesting” horns on farms. This would decrease profits of poachers, the demand for horns would be met, and the pressure on wild populations would be smaller. The other group says that it is a complete nonsense and that the demand is currently so high that no sources of rhinos or stocks of horns can satisfy it – it would instead just generate more new users. On the contrary, according to this approach, hunting of rhinos should be at least temporarily banned because it is being misused (see for example the Operation Rhino), controls should be more consistent, illegal trade should be punished harder, and at the same time the awareness raising in consumer countries should be more intense to achieve decrease of the demand. We must clearly state that, without reservations, we agree with the second opinion. The reason are years of experience with investigation of international trade cases, information from statistics, reports and expert literature, negotiations within CITES, and many discussions with people from the field and conservation and biology environment. Any attempts for trading rhino horns are currently a great risk for rhino populations (just have a look at the situation of elephants). South African rhino breeders think that the release of the trade in horns would solve their problems with poaching. They argue that it is them who guard their rhinos, that they invest in conservation, they know the situation best etc. Yes, but they know the situation only in their country and on their farms. They don’t know other links of the supply chain which are different. Legal sale would build a place for “laundering” material from poached animals. How could control authorities distinguish between a legal and illegal material? One cannot say from a piece of horn what source it comes from. Although supporters of legalization claim that it would be possible thanks to a system of permits and rhino marking, it is just a pure utopia and ignorance of reality. If rhino horns would be legally available, it would create new consumers demanding more and more supply. This would be great for horn traders but a catastrophe for rhinos. All the efforts to raise awareness and change the attitude of consumers would be destroyed. Efforts of both state authorities and non-governmental organizations in consumer countries would go down the drain. Even though horns can be marked with chips, in practice it is not a solution – even chips can be misused, removed, moved etc. If we take a closer look at data in proposals of supporters of the trade release, great scepticism cannot be avoided. In one of the official studies of South Africa is stated that 4,000 “harvested” rhinos would satisfy the global demand. How did the authors come to this assumption when the extent of the global demand is not known? Where did they get the number of 4,000? It is quite similar to the number of around 5,000 rhinos bred on South African farms… Just a coincidence? Horn of one animal can weigh 5-10 kg, so if 5,000 animals bred in South Africa were “harvested”, we would get staggering amount of horn. Probably not all the animals could have their horns cut off and a bit of horn would need to be left on the nose, but around 20,000 kg of horn could be obtained… That is 1.2 billion USD! And this is the reason of the problem – this money attracts many people and due to the money, everything is being wrapped in nice words about species conservation. The price of horns is a powerful attraction and not everyone is such an enlightened conservationist to care about the real conservation of rhinos more than about own problems and profit. Legalization and “harvesting” of horns would mean a short-term gigantic profit, but what then? Rhino horns are still growing but only slowly (a few centimetres per year). Consequent “harvests” would be substantially smaller. However, over 1,100 rhinos are poached every year which means around 5,000 kg of horns or more. Would the “harvested” farm rhinos be producing at least an equivalent amount? Probably not, and certainly not if the demand was increasing. Pro-trade models work with many naïve assumptions. Commercial breeding could replace poaching if horn from farm animals was considered an equivalent to horns from wild rhinos. Nevertheless, research has shown that consumers value products from wild animals more… Farmers would have to supply the trade with horns for lower prices than poachers, and poachers would soon push them out of the market. But breeding is more expensive than poaching, and nobody wants to undersell his products. A relatively small group of suppliers would be trying to keep a monopole and decrease of prices would not be in their interest. Any business needs to expand its market, and so the aims of suppliers would be to increase demand for their products, not to decrease it… Because of the legalization, new institutions would need to be established to be in charge of managing and controlling the legal trade, and not only in South Africa but also in all the countries involved in the horn trade. No analysis in the pro-trade models speaks about the ways this would be done and who would finance it. The whole model is based only on an idea of maximum gain of rhino breeders, different levels of supply chain are not taken into account. Although the supporters of legalization justify themselves that their aim is to save rhinos and give many arguments, it is necessary to think thoroughly about context and consequences. It is also necessary to verify information because facts often get distorted and lies and semi-truths are used in this fight. The idea that selling horns, legalizing the trade or breeding rhinos for “harvesting” can saturate the trade is absolutely wrong. Release of the trade in general cannot work in case of species which remain only in limited numbers in the wild, and especially not in the case of species with slow maturing and low number of offspring. It cannot work if we do not know the real extent of the global market and the volume of demand (or if the demand increases or changes). Trade in such species can have only a short-term effect while its impacts use to be long-term and usually horrible. An easy mathematics – there are only about 28,000 rhinos in the world today. The demand for horns is created by 89 million inhabitants of Vietnam and 1.34 billion inhabitants of China. Does anybody really think that this demand and the trade can be saturated? All rhinos of the world would not be enough, not even close. Or is it just a game of how to make the most money? If we take into account all the information and the situation from point of view of the whole world, not just of a single country involved, we must come to a conclusion that the idea of legal horn trade saving wild rhino populations is a myth. John Hume on his rhino farm. Mass breeding of rhinos in enclosures is supposed to be a solution for conservation of endangered species? Some bio-engineering companies work on research and production of “artificial” horns (Keraplast Technologies, Rhinoceros Horn LLC and Pembient). They focus on various possibilities – production of artificial keratin, multiplying cells of real horns (i.e. “growing” horns on a Petri dish) or even printing horns in a 3D printer. But is this really a solution? Again, there is a risk of the market growing and creating new consumers – the companies will focus on marketing and increasing the number of clients. The stigma of illegal trade will be removed and using horns will be “normal”. And how would control authorities distinguish between “artificial” horns if they would have the same DNA as the real ones? Rhino is also one of animals of the “Big Five”, i.e. the most popular animal species on hunting safaris popular among Europeans and Americans. Humans have already managed to almost wipe out rhinos before. In 1885, only 20-50 white rhinos and 200 Indian rhinos remained in the wild. Thanks to their protection, establishment of national parks and reserves, reproduction and releasing rhinos back to the wild, these species were saved. Today, there are around 20,000 white rhinos in Africa and about 3,500 Indian rhinos in Asia. These numbers could be considered a great conservation success if there wasn’t the modern poaching crisis. Not all the species have seen their populations increasing in the past century – numbers of black rhinos have been steeply decreasing (they dropped from 70,000 animals in 1970 to 5,000 today). The worst situation is in the case of Asian island rhinos which are virtually on the brink of extinction. Less than 100 hairy Sumatran rhinos and around 50-60 Javan rhinos, the smallest rhino species, remain in the wild. 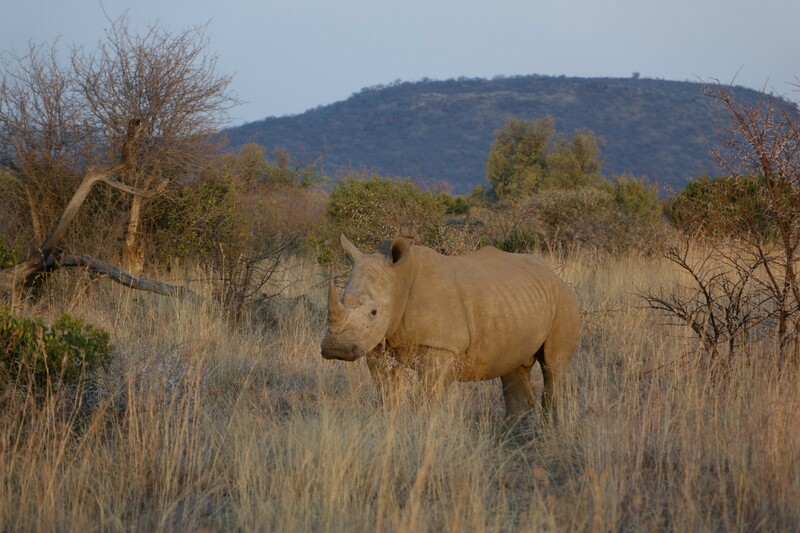 It is interesting where the rhinos live today – 73.5% of all rhinos inhabit the only country – South Africa – whose approach is therefore absolutely key. In South Africa, hunting of animals is very popular and so this country has become a leader of the pro-hunting lobby. Gradual increase in white rhino numbers meant that hunting of this species was permitted again. In 1970s, there was a significant change in legislation, and ownership of wild animals was transferred to the hands of land owners. This, at that time progressive, model led to transformation of many livestock farms into hunting farms and to an increase in wild animal populations. In 1989, first auctions appeared in South Africa and rhinos started being sold to private owners. Today, there are around 5,000 hunting farms in South Africa covering 13% of the country’s area (national parks cover only around 4.6%), and hunting industry has been expanding. South Africa is a destination of 88% of all hunters travelling to Africa to go hunting. It could be said that renewal of rhino hunting was a positive step for the conservation and that it was an example of the so-called sustainable use. However, this would be a big simplification and not a completely true claim. It was just one of more factors which, as is showing today, brought both pros and cons. Illegal trade in horns used to head mainly to Yemen, Korea, China, Taiwan and Japan. Up till 2008, the situation was quite stabilized, but then the fragile balance was disturbed. A rumour appeared in Vietnam that rhino horn heals cancer and serves also as a prevention of this disease. It was a targeted marketing strategy ingeniously using people’s fear. In a very short time, the demand for rhino horn sharply increased and illegal trade quickly expanded. The price of horn increased to even up to around 60,000 USD/kg which is 2.5 more than the price of gold (in 1975 the price of 1 kg of horn was 35 USD). Nowadays, the main consumer country is Vietnam followed by China. Demand for horns is absolutely insatiable and poaching is still escalating (increase of 2,000% compared to 2008) – today, 3 rhinos are killed every day (on average). However, up to 90% of rhino horns on the Vietnamese market are fake, i.e. from cows, buffalos, or made of resin or plastics, which proves how great the demand is. For consumption of rhino horn, a special bowl with rough abrasive bottom and a funnel is used. Horn is abraded on the bottom and the final white powder is mixed with water and consumed. Should it (allegedly) prevent cancer, the horn must be used every day… This rumour generates still new long-term users, and thus customers for dealers. But it’s a lie! Dr Jozef Lucký, leading expert on TCM and Head of Control Commission of the TCM Chamber, has answered a question on whether there is anything to justify this new belief, saying that the rhino horn has characteristics of a “cooling” substance and so its consumption would be absolutely contra productive for a possible healing of cancer. There is not even a little theoretical assumption that rhino horn could have any effect in this matter. Golden youth – rhino horn is used as a medicine against hangover. It is called “millionaire drink” and is consumed at parties, again as a symbol of a certain status. Housewives – they are trying to take care of the family’s health and they want to have a small piece of horn in their home first aid kit. Due to the overwhelming demand and high prices, it is searched for any ways of obtaining rhino horns. Today, it is virtually impossible to buy them – every horn that was possible to buy has already been bought. The only way is to steal it or obtain it from an animal – by killing the animal or by cutting the horn off of a live rhino. 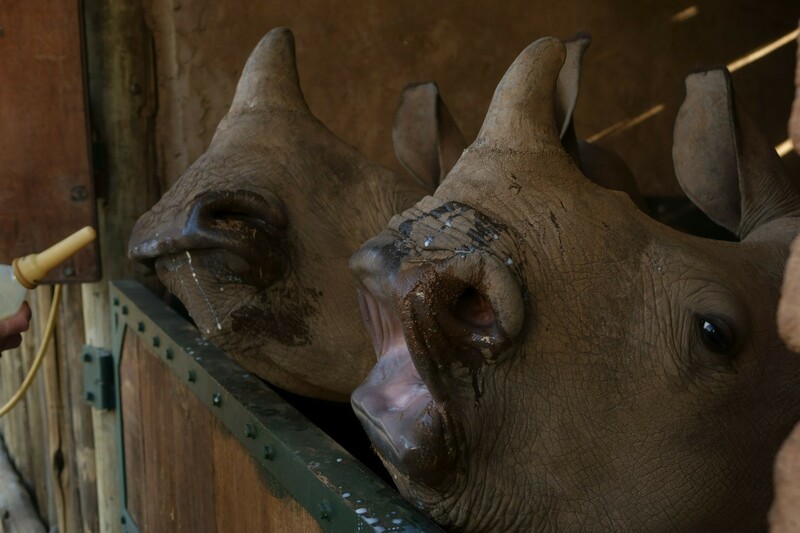 Not only criminal groups are involved in rhino trafficking, but also diplomats whose baggage is not subject to controls are engaged in it (employees of the Vietnamese embassy in Pretoria have been filmed by a hidden camera while taking rhino horns from a dealer; a North Korean diplomat was arrested in 2015 with 4.5 kg of horn in his luggage, etc.). The situation is being worsen by the pronounced corruption which is almost a rule in African countries. Even influential persons such as politicians, soldiers, policemen and rangers themselves are involved in the “rhino crime”. The question is who to trust. Even though South Africa records an increasing number of people arrested, in most cases it is people from the lowest level of the supply chain, i.e. poachers who are quickly replaced. Only rarely a trafficker or even an organizer is arrested. To combat this criminal activity really effectively, all levels of supply chain must be addressed, and especially the network of traffickers and organizers must be punished. Since 1994, South Africa has had an exemption from the CITES rules, and the white rhino is classified in the CITES Appendix II – for the purpose of hunting for trophies. Within a so-called sustainable use of live nature or rather “wildlife industry”, South Africa permits to shoot down around 100-160 rhinos every year. Hunting of a white rhino costs 70-150,000 USD (this amount is paid to the farm owner, not to the state). There is also a so-called “green hunt” for 8,000 USD where a hunter shoots an animal with a narcotic gun and then takes photo of himself with the sleeping animal. On one hand, this might look humane, but the question is how many times the animals is used this way and what the narcotics do to it. Exceptionally, a hunting licence is issued also for hunting a black rhino (only 5,000 individuals remain in the wild); the cost is 250-350,000 USD. However, the quota on rhino killing is 100-160 individuals, so the number of animals reproduced by farms was killed. But the key fact is that these numbers come from the time before the poaching crisis. Today, the losses are much higher – 1,215 rhinos were poached in 2014, while in 2007 it was only 13… So, is the rhino population in South Africa really stable? It is hard to say as South Africa does not publish complete and exact numbers. Czech pseudo-hunters in South Africa hunted on a farm owned by Dawie Groenewald, a former police officer, called “Butcher from Prachtig”. Groenwald’s gang called “Messina Mafia” was made of a group of hunting farm owners, professional hunters, pilots, veterinarians, preparators and bribed rangers. They used to buy rhinos in high numbers, kill them right after their arrival to the Groenewald’s farm (mass rhino graves were found on the farm during a raid) and sell their horns to Vietnamese. The case has been in court in South Africa since 2010 (it has 1,875 indictment points). Besides Czechs, Americans hunted on the farm as well, so a part of the gang is being judged also in the USA. Cases from various countries are interconnected, it is an international organized crime in which many people are involved. A new phenomenon of so-called “pseudo-hunting” was recorded for the first time in the Czech Republic, principle of which was known for a long time to Czechs as “white horse”. Vietnamese organizers hired poorer people from poorer regions (Teplice, Dubí), often untraceable, without permanent address. These people did not have any hunting experience, did not own a gun nor knew how to shoot – they went for a paid trip to South Africa where a rhino hunting license on their name was bought. Horns were then exported, also on their names, from the country – mostly directly to Vietnam. Czech control authorities were investigating this case under the name “Operation Rhino”, during which 22 rhino horns of total value of more than 100 million CZK were seized. After the revelations of the Operation Rhino, Czech Republic started to be considered one of countries significantly involved in rhino horn trade. Within Operation Rhino, 16 people were convicted, the case was watched internationally and was considered a great success. However, as it is usual in the Czech Republic, efforts of many people can be thwarted by the infamous way of work of the Czech justice. The trial took 5 years and was still being protracted – very often it looked like everybody wanted to get rid of this difficult international case. In June 2018, the court delivered a verdict – the Vietnamese organizer got 2 years conditionally and a fine of half a million CZK, the other convicted people were freed from accusations… Even though the state attorney has raised an appeal and the case continues, our shame will remain. 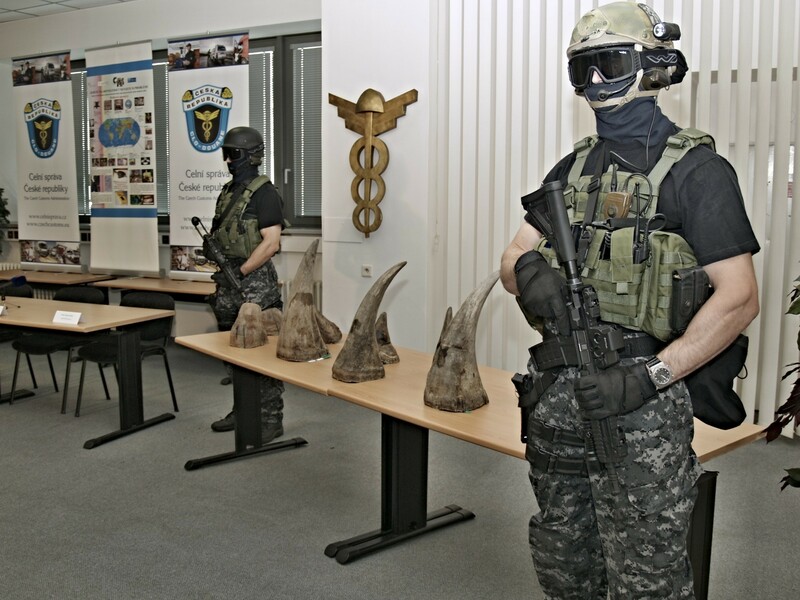 In the Czech Republic, it did not end with the Operation Rhino – another Vietnamese group appeared and another investigation, called Operation Osseus, followed. 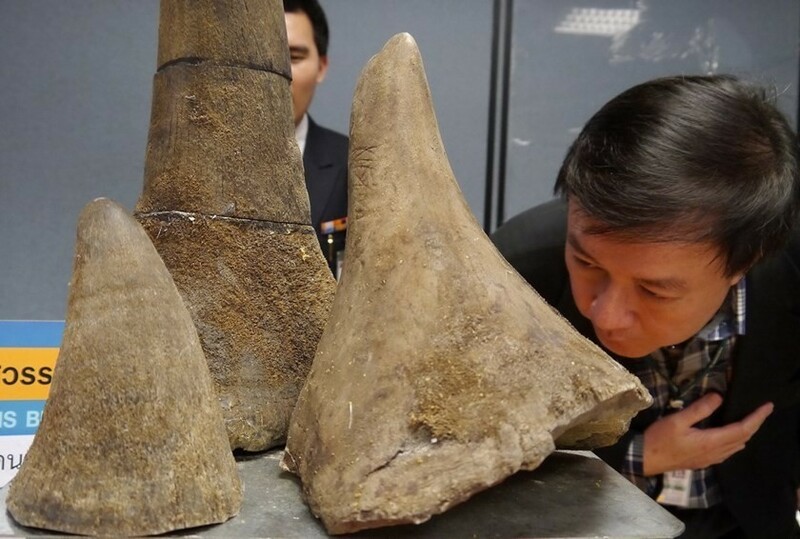 Activities of this group were connected with the SAPA marketplace; they included trafficking of rhino horns, tiger bones and ivory, and production and smuggling of methamphetamine. During 11 house controls, tiger teeth and claws, rhino horn, photographs and video or more horns, weapons, gun cartridges, unmarked cigarettes, and a counterfeiting workshop were found. Also, many bottles with a strange content later identified by genetic analyses as containing tiger and monkey broth, and a rhino powder were found. Three Vietnamese traffickers were arrested and sentenced to 5 years of imprisonment. Nevertheless, they have appealed, and the case is still in court. How to solve the situation and save rhinos? It would be great if someone knew the answer to this question. The truth is that nobody knows it, and so many ways are being tried. First thing coming on one’s mind is to cut off the rhinos’ horns. These attempts, however, have not been successful. Rhinos without horns are handicapped during defence, and poachers shoot hornless animals anyway just so that they don’t need to track them again. Investigations are complicated by limited resources, lack of people and equipment, terrible bureaucracy, unwillingness and lack of interest of supervisors or other officials. A huge problem is the corruption and the fact that criminal gangs have their people in many different places. And when after a great effort of many people a case gets to court, it is very often postponed or the punishment is ridiculously low (which is also the case of the Czech Republic, see the verdict in the case of Operation Rhino). In the fight for rhinos, science is helpful as well. There is a unique database at the University of Pretoria called RhODIS which gathers rhino genetic samples from the whole world. With help of genetic DNA analyses, it can be found out where a rhino was poached. In 2013, a female anti-poaching unit named Black Mambas (www.blackmambas.org) was established. These women are virtually incorruptible (as oppose to men), they are active, proud and disciplined. Poachers demonstrably avoid areas where the Black Mambas operate. The effect of the female unit is also in the motivation – their motto is: “We are Black Mambas… What do you do?” In 2015, their unit received the UN’s “Champion of the Earth” Award. The fight against poaching can be led also through awareness raising which is one of the most important strategies. Celebrities such as prince William, David Beckham, Jackie Chan or Chinese basketball player Yao Ming engage in raising awareness. Very good are also awareness campaigns of the Wild Aid organization (www.wildaid.org). One of the South African shelters for orphaned rhino calves is Care for Wild Africa (www.careforwild.co.za), where even volunteers can help take care of rhinos. 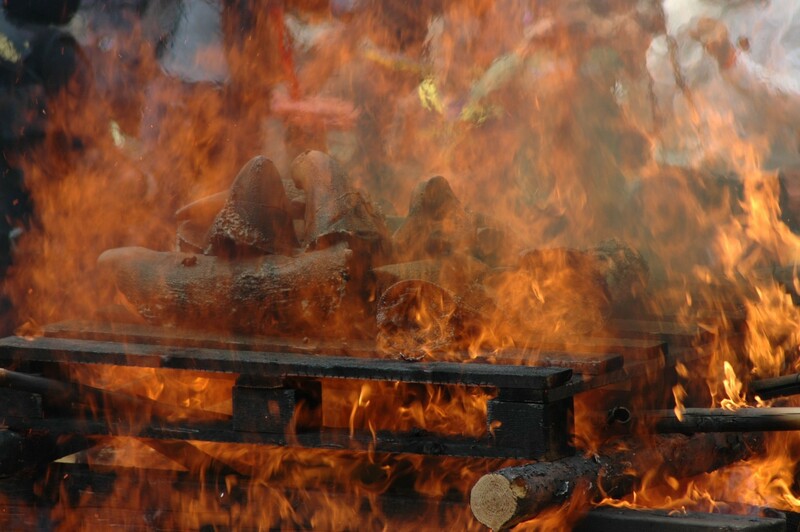 In 2014, seized horns and horns from the zoo’s stocks were burnt during the Burn horns event in the Dvůr Králové Zoo. It was not a big amount – just about 60 kg (Kenya burnt 1,500 kg of rhino horn in 2016) – but it was the first rhino horn burning ceremony in Europe, and at the same day horns were burnt in many other zoos. What is the purpose of such an event? “To put too much trust in conservation of rhinos based on commerce is just risky. Similar efforts to protect wild animals by breeding them have not been much successful so far.” Ross Harvey, analyst of South African Institute of International Affairs (SAIIA).